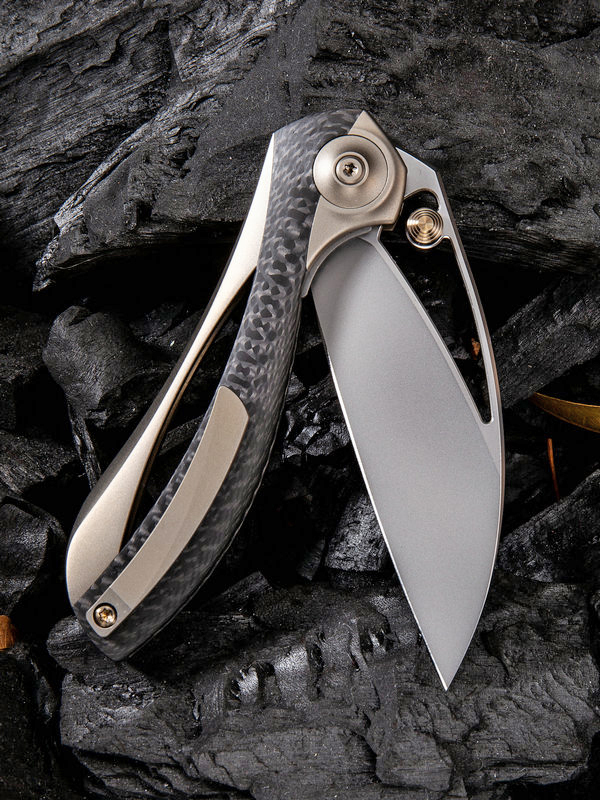 The 821 Pleroma was created by Elijah Isham and it perfectly embodies his one-of-a-kind design aesthetic. It looks unlike any other knife in the industry and features We Knives' superb action and surprisingly good ergonomics. 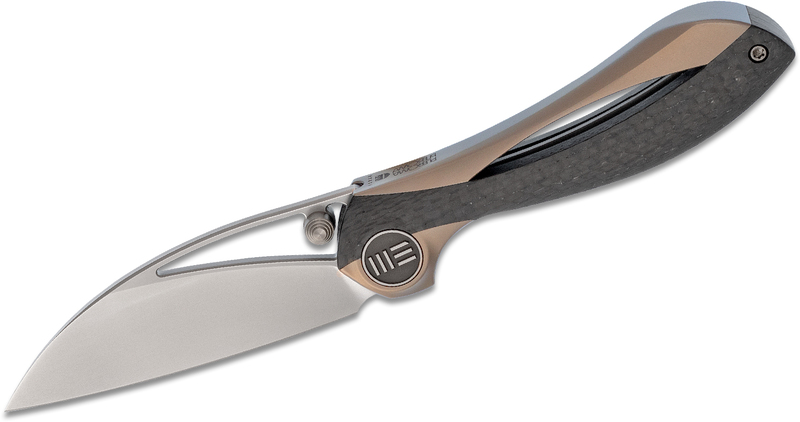 The dynamically stylized blade is made from Bohler M390 stainless steel with a Wharncliffe shape which will excel at utility cutting tasks. 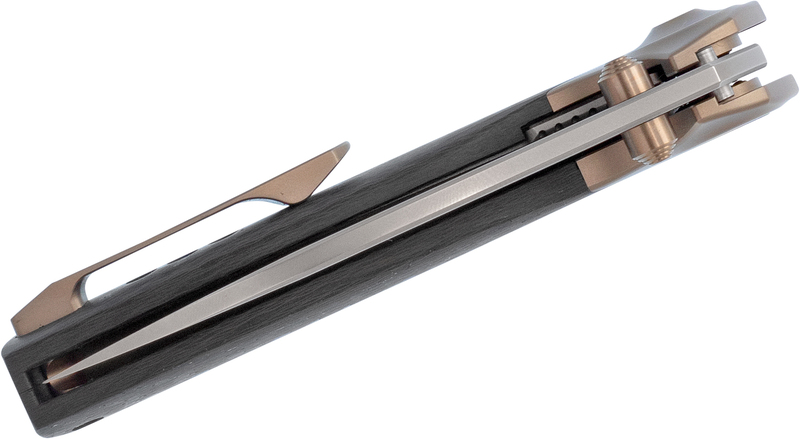 The handle is a single piece of milled champagne anodized titanium with a stainless steel liner lock and carbon fiber inlays. 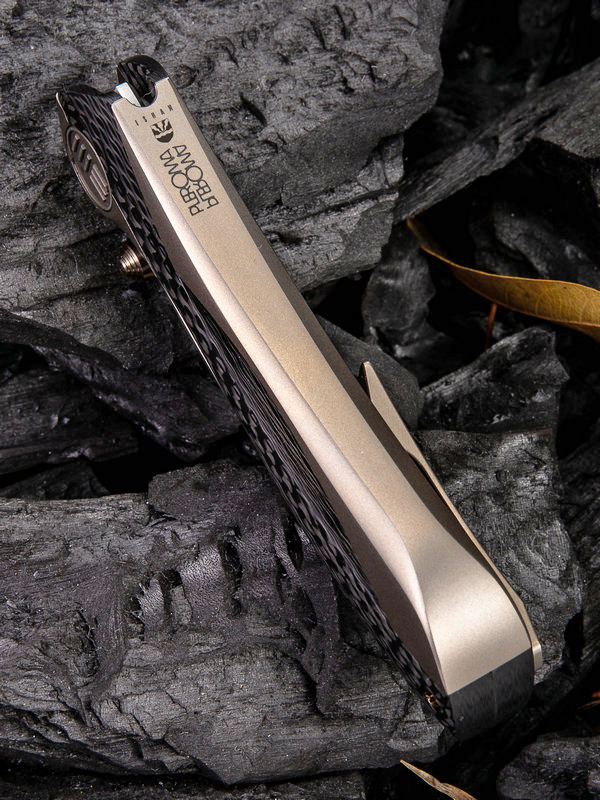 The pocket clip, backspacer, screws, pivot cap, and washers are all 6Al4V titanium for maximum quality assurance and you have a few different ways that you can open this incredible blade. 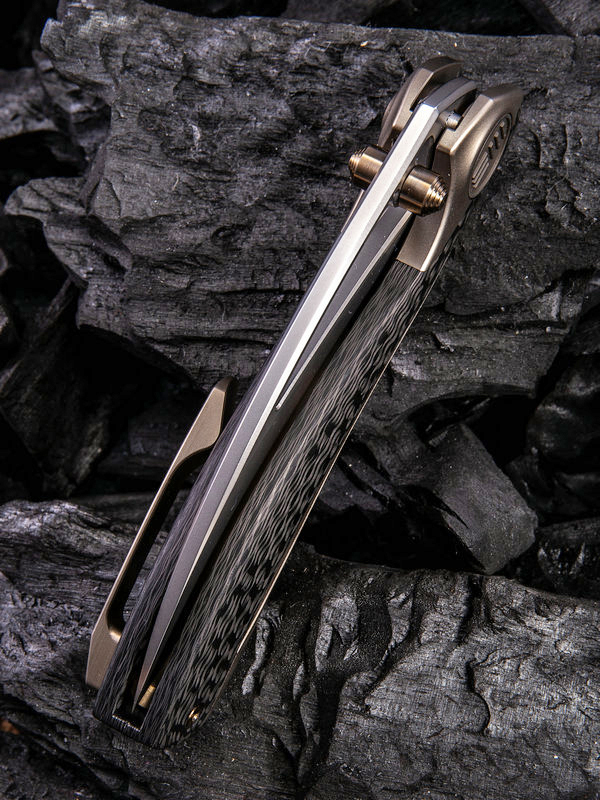 Everything about this knife is well thought out and superbly executed, and we are proud to present it to you as your next everyday carry or maybe even safe queen. 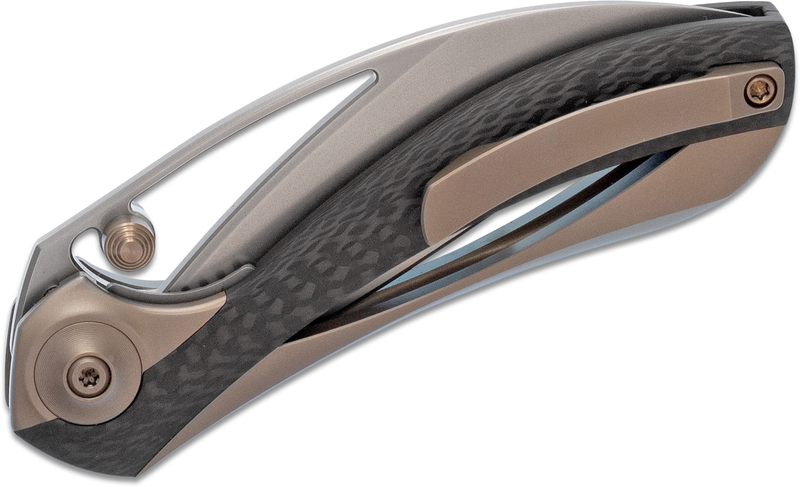 First, for those of you who think the design is too “fantasy” or futuristic, I highly suggest you see and feel this knife in person. Very cool design: sleek, modern, unique; elegant and expressly not “fantasy.” Seems very well-made (though I’ve had it less than a month): Great action and grip. 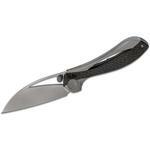 Perfect size blade for office, regular pocket knife tasks. Smooth surfaces make it comfortable to carry and hold.Four stars instead of five because it’s too expensive for the size and features. I saw this knife and just couldn’t pass this up. I received it and the picture really doesn’t do it justice. 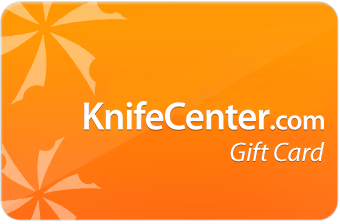 Let’s start from the beginning, the knife came in a zippered case, something I’ve noticed WE knives does, it’s a nice touch. Pulled the knife with instructions (really?) 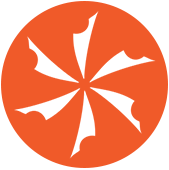 from the case. Overall the fit and finish on this knife is superb, smooth opening and everything fits beautifully together in a pleasing combination The knife design has a unique recurve that draws the eye and fits comfortably in the hand. I’ve carried it for about a week now and I’d put it in the general edc/dress knife category, light enough to not weigh down your pockets on dress clothes but still a decent size with the blade being just shy of 3”. 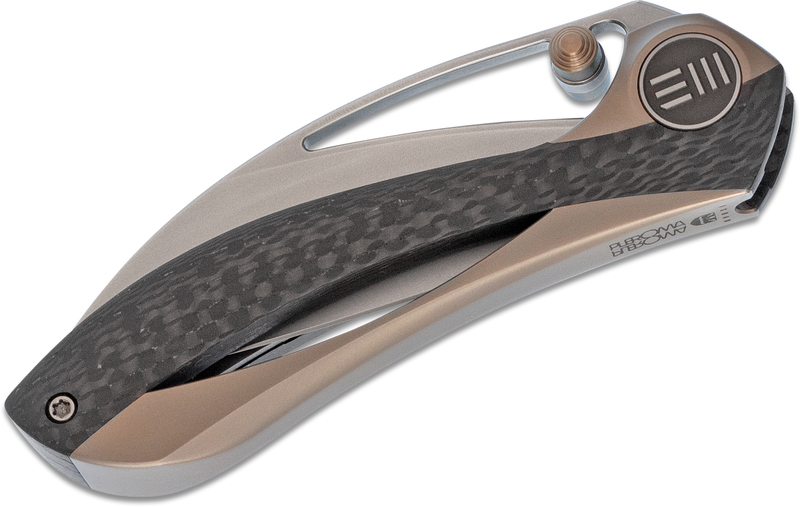 I don’t think it’d be my first choice to go hiking in the backwoods with, but it will nicely cut a steak in a restaurant without drawing too many curious looks.The one drawback I have found is the clip. It’s tight, and once in the pocket is unlikely to come out on its own, but therein also lies the issue with the clip being tight enough I can see it quickly wearing a hole on my pocket from taking it in and out. Just my experience your mileage may vary. Overall very pleased I made this purchase. 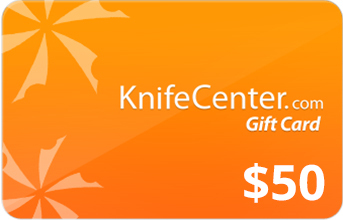 WE knives has a winner. 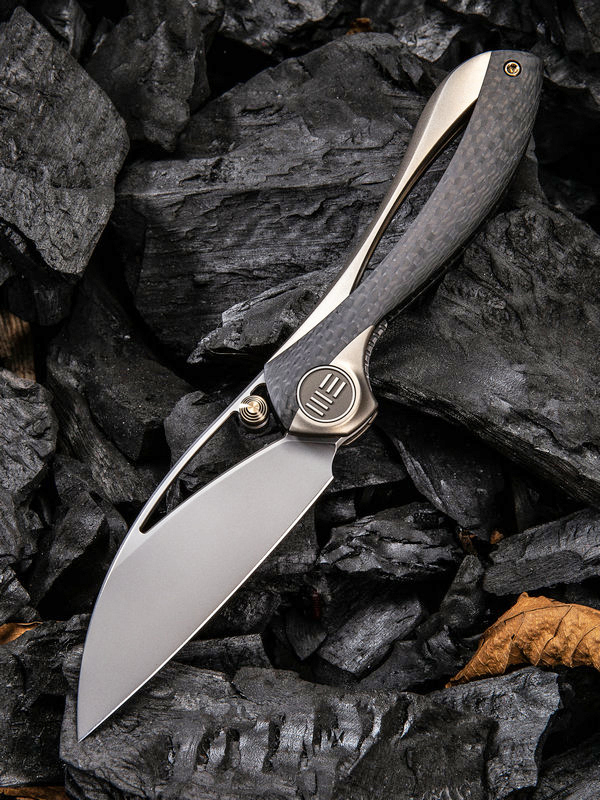 Hey, I wanted to share "We Knife Company 821B Elijah Isham Pleroma Folding Knife 2.95 inch M390 Wharncliffe Blade, Champagne Integral Titanium Handle with Carbon Fiber Inlays" with you from KnifeCenter.